In the great West Coast synthesis tradition Verbos presents a capacitive touchplate controller with three independent sections: a 32-key keyboard trimmed to 1V/octave, a bender section and a eight-key keyboard with variable output voltages per key. The touch plates are gold-plated and partially illuminated from the rear. The module can be powered with an external power supply as well. 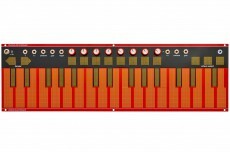 The biggest part of the module is a keyboard with 32 touchplates in the usual piano arrangement. 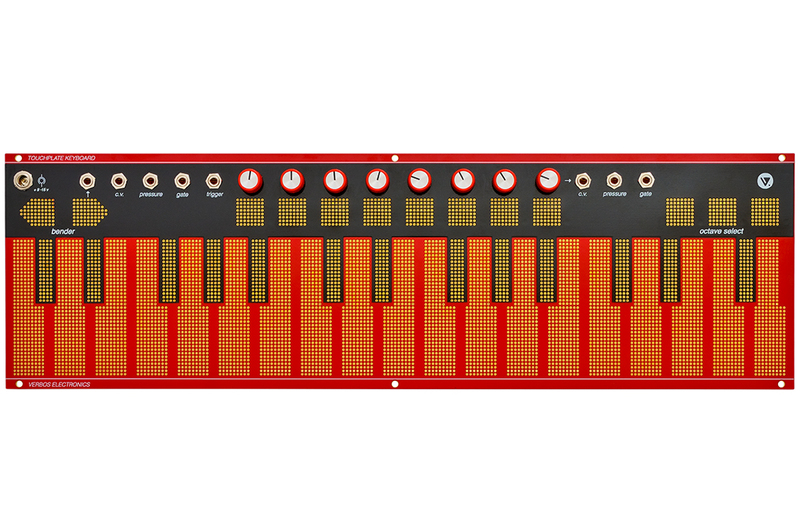 The keys are trimmed to 1V/octave and generate four signals simultaneously when touched: note CV, pressure CV, gate and a 10ms long trigger. To be precise: not the pressure is measured but the amount of skin touching the keys. Three touch plates in the upper right are used for octave transposition; the active touchplate glows red. In the upper left there's a bender: one touch plate generates a negative voltage, the other a positive one. The voltage is wot added to the big keyboard's note CV but is available at an individual socket. Centered is another keyboard which is not 1V/octave. 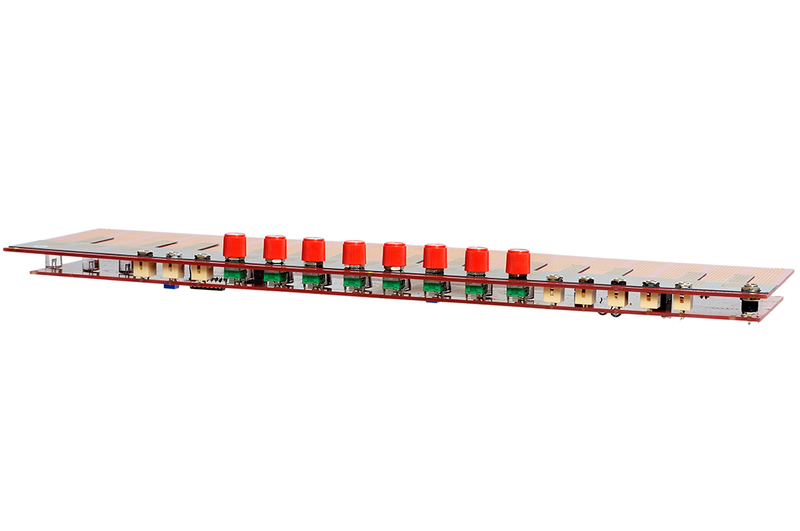 It has eight touch plates, each of which can be tuned freely. 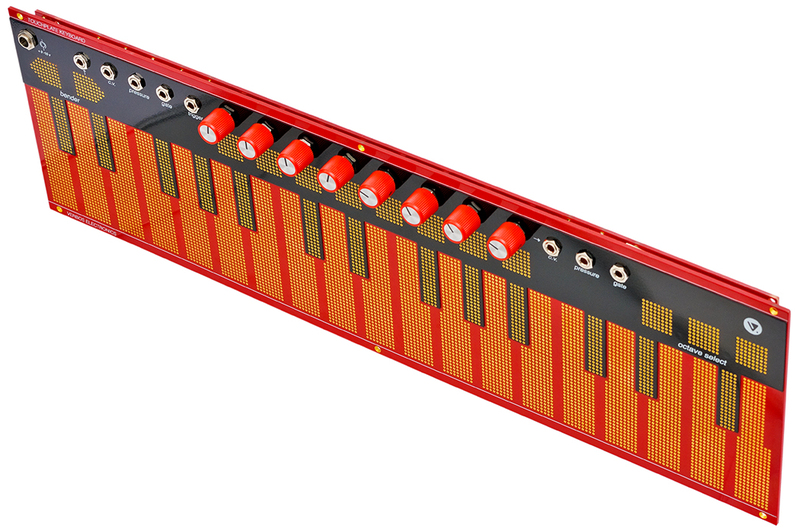 Use it for recaling fixed voltages (presets) or a as a microtonal keyboard. Besides the CV these touchplates also generate pressure and gate. The active touch plate is illuminated by a LED sitting behind the perforated plate. The module features an input for an external 9-15V DC supply and can be used in an un-powered skiff.